This 2018 photo provided by the Hennepin County Sheriff’s Office shows Chinese billionaire Liu Qiangdong, also known as Richard Liu, the founder of the Beijing-based e-commerce site JD.com, who was arrested in Minneapolis on suspicion of criminal sexual conduct, jail records show. A Chinese e-commerce giant says its billionaire founder, Liu Qiangdong, has returned to China after earlier being arrested in the U.S. on suspicion of criminal sexual conduct. Also known as Richard Liu, the founder of the Beijing-based e-commerce site was arrested in Minneapolis late Friday on suspicion of criminal sexual conduct, jail records show. 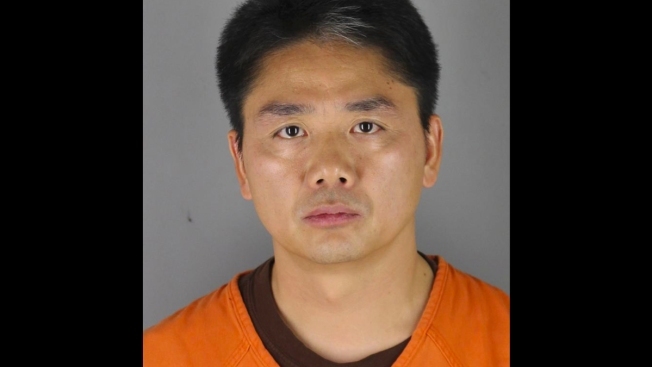 Liu, 45, was released Saturday afternoon pending possible criminal charges, Hennepin County Jail records show. The jail records don't provide details of the alleged incident. China's foreign ministry said Monday the Chinese Consulate in Chicago is looking into the circumstances surrounding Liu's arrest.